Life, religion and art all converge in Bali. They have no word in their language for "artist" or "art." Everyone is an artist. Dream of an exotic island with gorgeous temples and turquoise water. 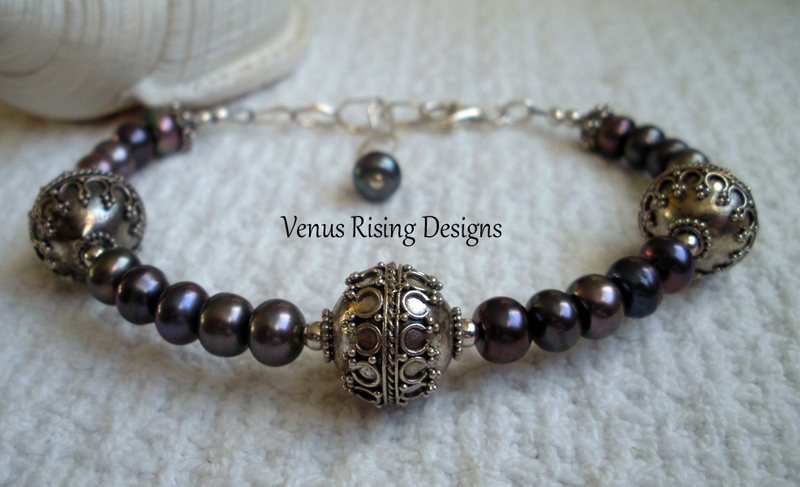 This bracelet features intricate sterling silver beads from Bali and soft grey-lavender freshwater pearls. Bracelet is adjustable from 7" to 8-1/2"; I can adjust the length of the chain if needed. Sterling silver beads, chain, wire and findings; wire wrapped for security.